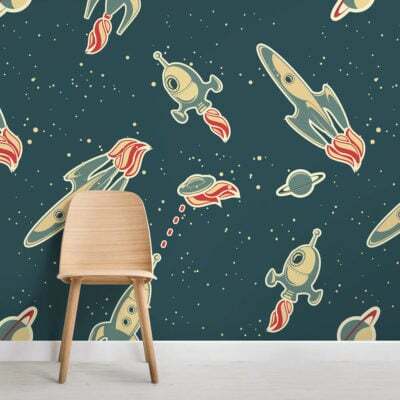 If you are looking for a bold feature wallpaper for your child’s bedroom or playroom, this Retro Space Themed Rocket Wallpaper Mural will be sure to make an impact. 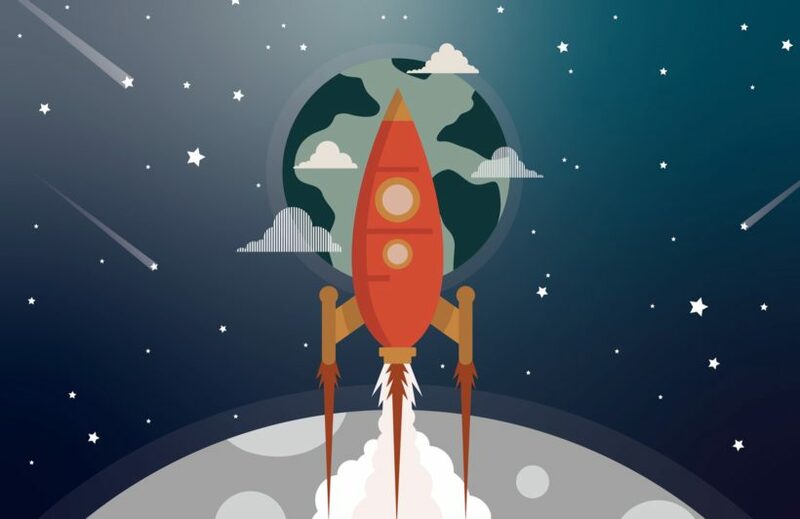 Designed in-house this rocket wallpaper creates an interesting depth with dark background tones combined with the bright orange rocket, really allowing it to stand out in your space. 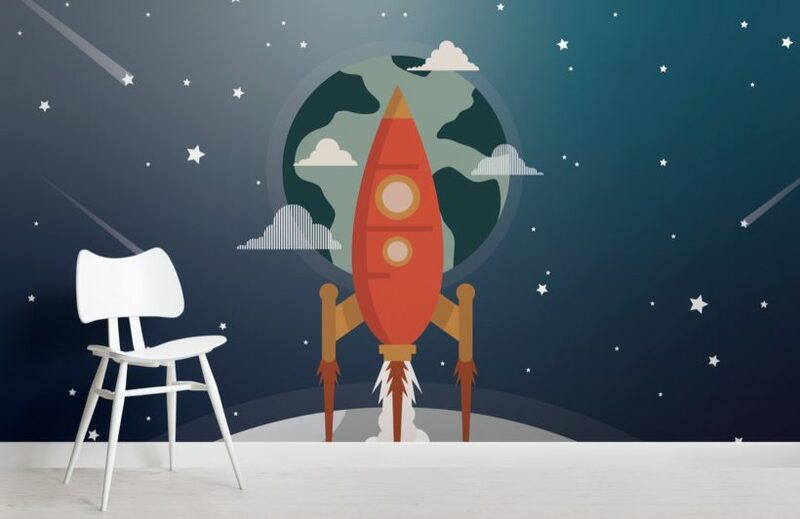 Create a sense of true adventure today with this stylish retro style space wallpaper, a design your child will love for years to come.